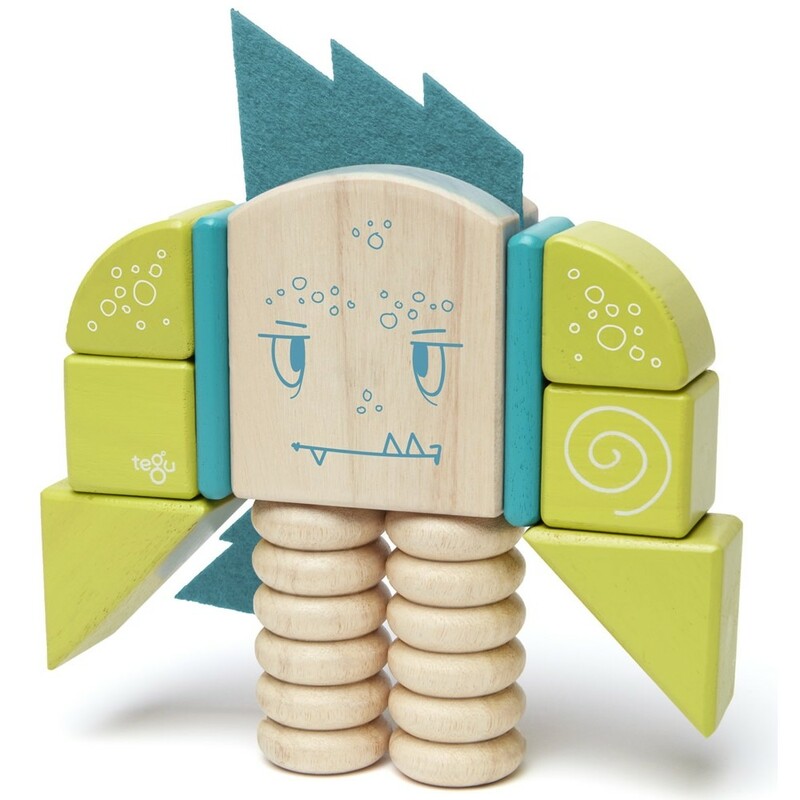 Zip Zap is a Tegu monster who enjoys anything logical and sensible - but your child can soon turn that world upside down! Create armour, long legs or butterfly wings for this serious character. 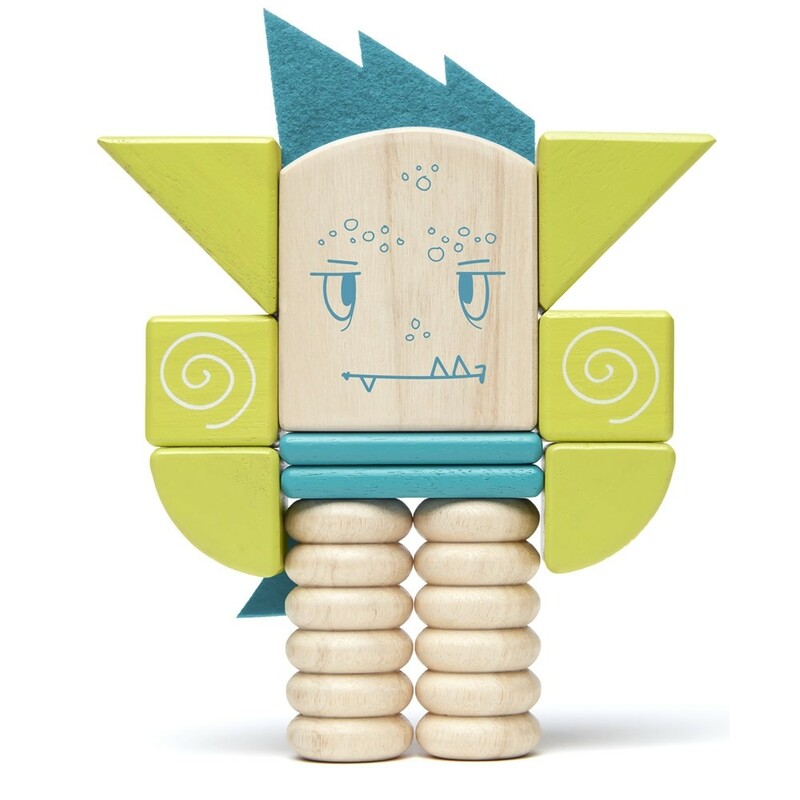 All 12 blocks are compatible with the entire Tegu range. 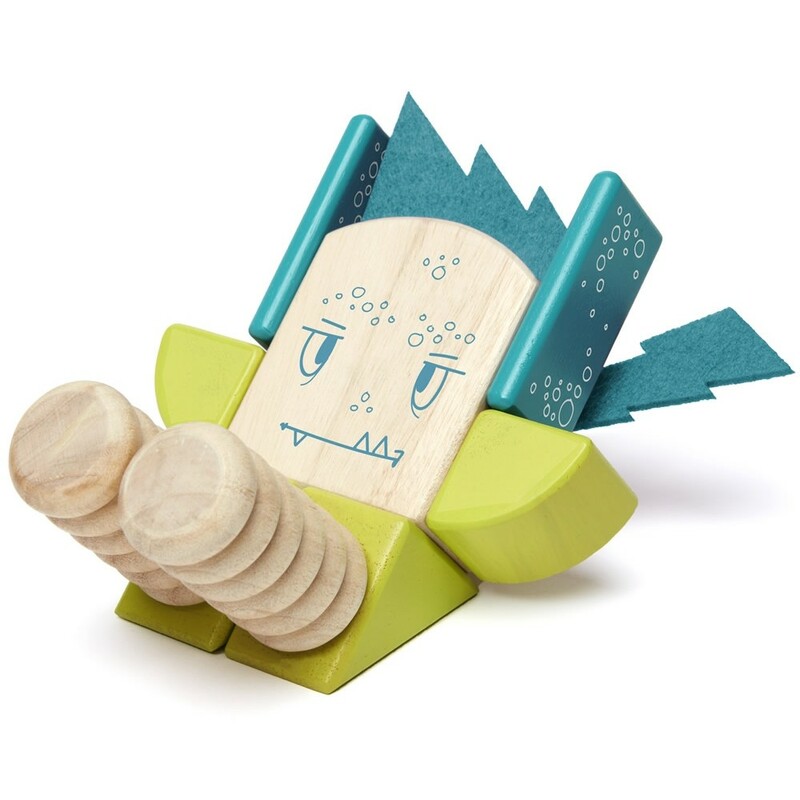 The variety of shapes included with this Tegu sticky monster will help create some hilarious results, especially in contrast to Zip Zap's serious face. 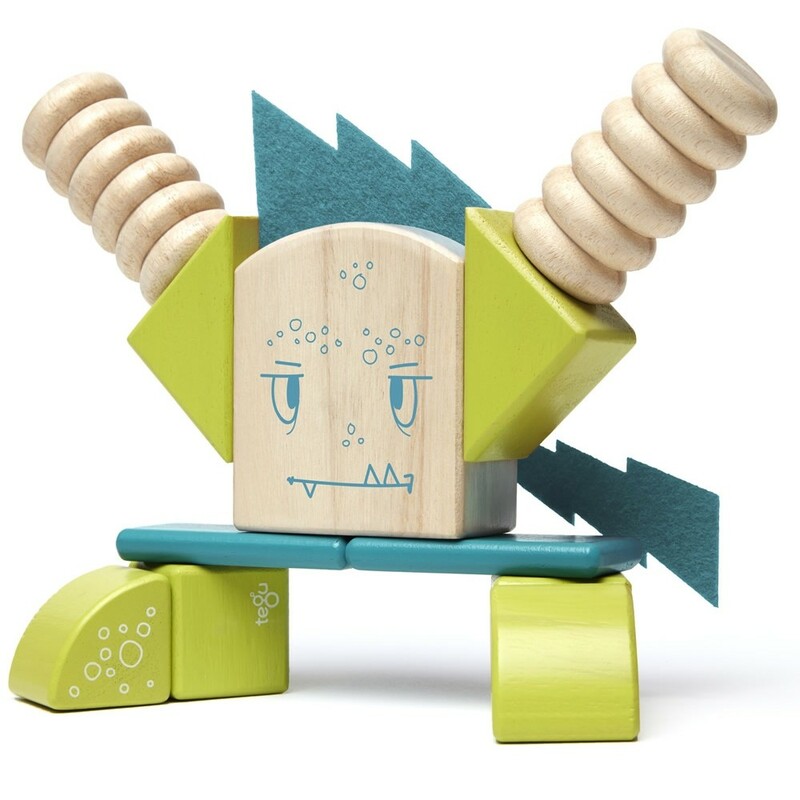 Little ones will love make Zip Zap tall, short, wide, with or without tail, with each outcome inspiring a new story to tell. The monster horso (head and torso) is a lovely size for little hands, and the hidden magnets across all the pieces make stacking and building irresistible, and beneficial for crucial fine motor skills. 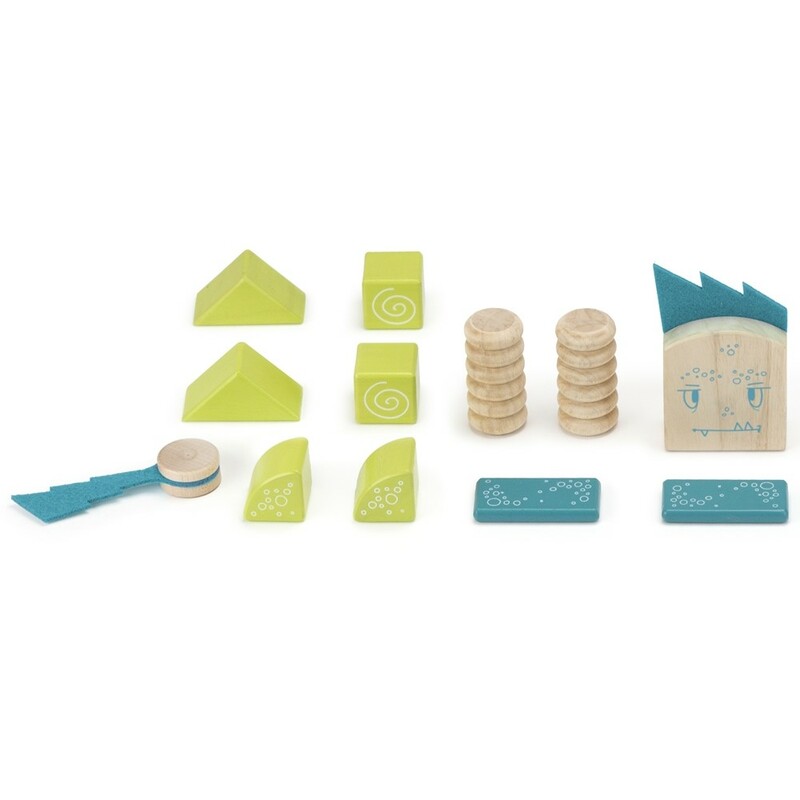 Older children will enjoy discovering scale and problem solving, as they work out through trial and error how to bring designs to life. The eye-catching colours of lime green and teal blue are the perfect contrast to the natural hard word of the legs and horso, while the bubble graphics remind us that having fun is the prime objective here.